With this new Playtech online slots game they take us back a few years to the less complicated, cleaner style of games like Bonus Bears and Desert Treasure. The game does not dissapoint. There are 25 paylines across 5 reels. The symbols are basic and the game play is easy. there are standard 9, 10, J, Q, K and A symbols that spin alongside the tent, campfire, hound and fox hunter. You also have the Fox Wild symbol and the Lucky Grapes Scatter symbol. 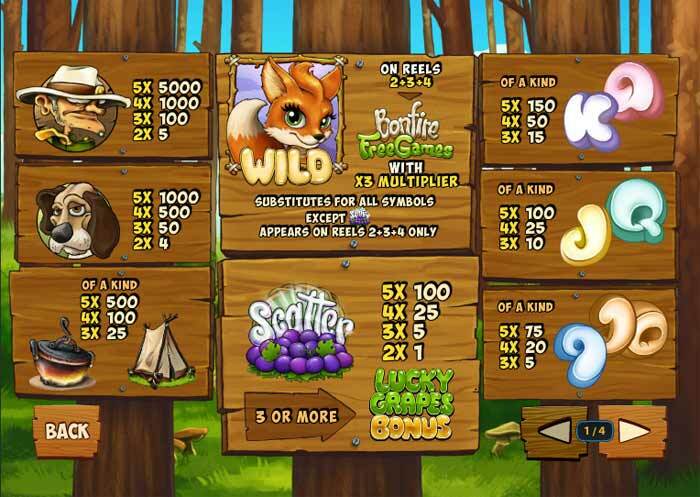 Spin the cute fox wild symbol on reels 2, 3 and 4 at the same time and you are transported to the BONFIRE FREE GAMES bonus. This will give 15 free games instantly, with all wind given a 3x multiplier. 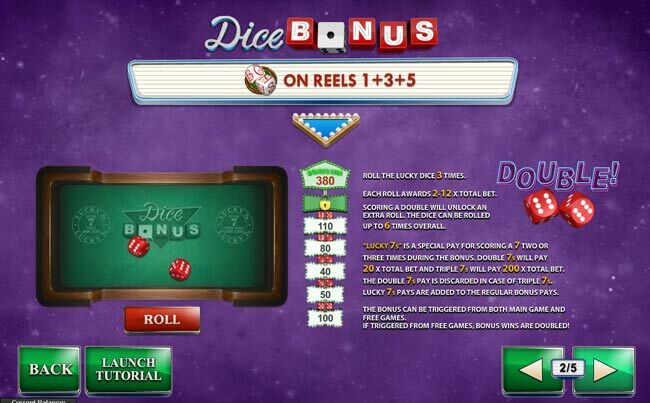 These free games can be retriggered infinitely by spinning three more wild during the free spins. The second bonus in the FOXY FORTUNES video slot is the Lucky Grapes Bonus. Spin 3 or more grape scatter symbols on the reels and you will be given the chance to help Focy jump for grapes. Keep jumping and grabbing grapes until you get caught in the trampoline. Each bunch of grapes collected will reward you with an instant cash prize. This is not the best Playtech slots game, but it is simple and fun to play. What the grapes and trampolines have to do with the story is completely beyond me and it seems completely random. The game does however offer a good payout and I am sure it will be a success.